The Fairways Apartments in Fitchburg, Wisconsin is in a splendid location near Madison, Nine Springs Golf Course, and just minutes from the University of Wisconsin-Madison. We’re just what you’re looking for in a home and community. Whether you are popping over to see friends in Stoughton or headed to Five Points or Madison, being close to the Beltline Highway and public transportation makes commuting easy. Dining, shopping, and entertainment are near at hand, with options like Copps Grocery Store, Ten Pin Alley, and a variety of restaurants available. 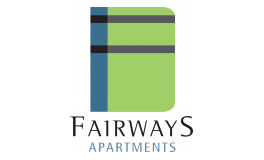 Set up an appointment soon to tour the Fairways Apartments. You will be glad you did.